We sure have a lot of autism groups in Manitoba. Why is that? Probably because autistic people -and their parents- are so diverse. Groups have a pattern of forming to meet around specific needs. Supporting therapy choice, degrees of disability, location, age, role (parent or autistic person), a need for recreation or parent support… all these have been starting points for new groups. That diversity can sure be frustrating when we are trying to advocate for changes. We agree on some things, but not on others. Occasionally, there are some strong disagreements. You actually see the same kind of thing in other communities – the deaf community, for example, or faith groups. It’s a human thing. The advantage to this diversity in autism groups is that people who share a perspective can encourage one another. The disadvantage is that we are fragmented and have a hard time communicating a clear message about our priorities – to government, or to the broader community. There are some places where autism groups meet and mix, and that’s a good thing. For example, multi-disability advocacy groups like Children’s Coalition work to summarize and advocate for the needs of the entire community. 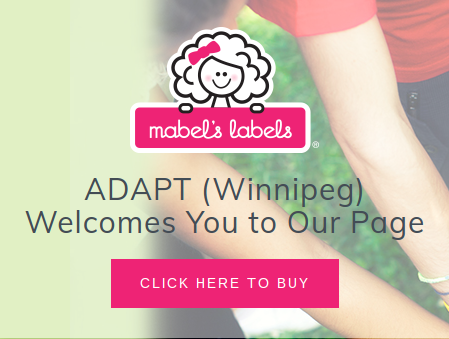 ADAPT, MFEAT, Aspergers Manitoba, Autism Society Manitoba, and others came together to create the ASDMB.ca website, which collects resources for autism into one place. 1. Even when you disagree, listen for what is underneath your disagreement. Stay in the conversation. Different experiences and different priorities lead people to different conclusions, and that’s an opportunity to learn. It doesn’t mean you’ll change your position (although you might), but it helps us to understand and work together. 2. Keep a big place at the table for autistic people. They are the ones we advocate for. They give us an idea of where our kids might be headed, and can help us understand how our kids experience the world. And they are worth getting to know, just because of all they bring to the world. 3. The best thing you can do is to pick a group that resonates with you, and volunteer your time, either to come to events and meet people, or to join in the work that they do. Autism Society Manitoba, Community Living Manitoba, Asperger Manitoba, Inclusion Winnipeg are all groups that have served Manitobans for a long time, and they all need volunteers. There are many others. If they aren’t doing what you wish they would, it’s because there aren’t enough people to do it. The side benefit? I’ve met so many encouraging people this way, who are a great source of information and guidance. The April 2 Autism Walk is coming up. People will be there carrying signs with different slogans, wearing different colours, thinking about different priorities for social change. That’s all great! It’s an opportunity to meet and learn from one another. What Winnipeg will see is a picture of a diverse community coming together over a common concern for the well-being of children and adults with autism. Hopefully the message will be one of encouragement, inclusion, and value, as well as a call to provide support that is owed to vulnerable people in our society. Which one of these organizations is putting on the walk? Super exciting! Actually, Autism Winnipeg PACE is organizing the walk, but many organizations support it. What a great post!! !… exactly what I have been feeling & looking forward to at the “ Walk”!! Great positive message Deborah ! Looking forward to seeing everyone at the walk and celebrating our children, families,friendship, and educating the world on Autism.